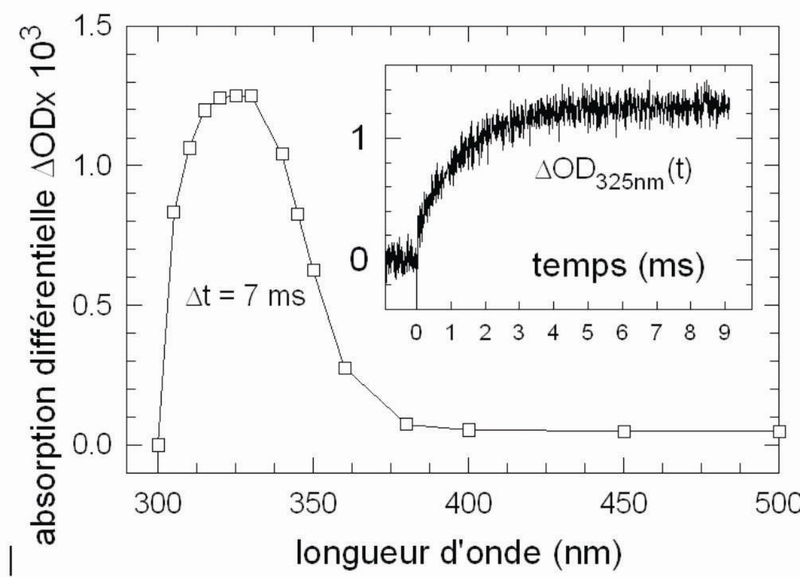 The formation of thymine dimers in the single stranded oligonucleotide (dT)20 is studied at room temperature by laser flash photolysis using 266 nm excitation. It is shown that the (6-4) adduct is formed within 4 ms via a reactive intermediate. The formation of cyclobutane dimers is faster than 200 ns. The overall quantum yield for the (6-4) formation is (3.7 +/- 0.3)x10-3 and that of the cyclobutane dimers (2.8 +/- 0.2)x10-2. No triplet absorption is detected showing that either the intersystem crossing yield decreases by one order of magnitude upon oligomerization (<1.4x10-3) or the triplet state reacts with unit efficiency in less than 200 ns to yield cyclobutane dimers.